The ‘70s were a great period when people really knew how to enjoy – shiny disco balls, great outfits and hairstyles, and, great music for dancing, and most important of all – the simple and captivating slot games. It seems that slots were really something back in the day, and people obsessed over them. There is this particular feeling that you get when you walk into a casino with your friends and start spinning slots – it is unexplainable. Booming Games tried to catch that feeling – not only of slots but of the whole era. The result of their effort is a great new release called Disco Bar 7s. You can probably already guess how the slot will look like, and we will give you an insight – it is shiny! The slot has everything that a lover of disco venue would like it to have – there are neons shining in the background, and the 7s and Bars are sparkling all over the reels. Speaking of reels, this is actually a 3×3 slot and it has a total of 10 pay lines. 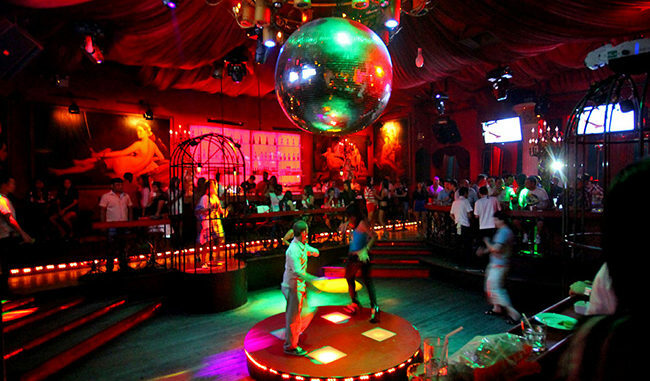 The RTP of Disco Bar 7s is 95.96%. The slot features both wild and scatter symbols, as well as cool multipliers that can increase your winnings a lot. The pattern follows the classic fruit slots from the 70s and you can find the wilds on the reels which will replace all the other symbols. Wild is actually a picture of a disco ball and it is also the symbol that pays the most. Furthermore, the game has the whole Mix ‘N Match aspect which means that even the symbols that are not completely identical can create winning combinations. Booming Games did an outstanding job with colors in the game. The dominant shiny colors are blue and purple which you can see shining all over the place. The best thing about the game is definitely the Scatters. They actually become multipliers once they are on the reels – and they work in an amazing way. First of all, if you land only one Scatter, you will have 1x multiplier. Two Scatters will give you a 7x multiplier. However, if you by any chance manage to have all three scatters on the reels during one spin, your winnings will be multiplied by as much as 77x. This is really an amazing feature that Booming Games added and it will attract even those players who prefer more complicated and more contemporary slot games. As previously mentioned, the casino feel is unique and the team at Booming Games wanted to bring it to you by designing the slot in such a way so that you feel as if you were in a real casino. You will feel like you are seated in front of a slot in a real land-based casino – it is a great feeling. The best part about this game is that it is also optimized for mobile play!